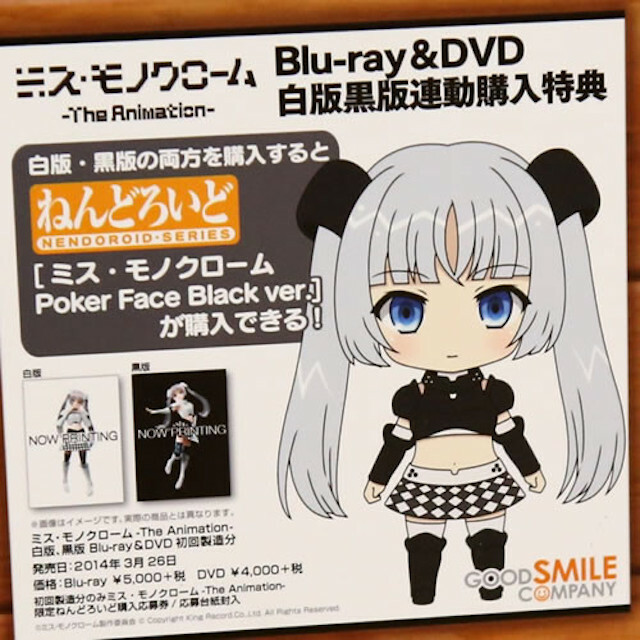 Nendoroid Miss Monochrome: Poker Face Black version Will be Bundled with the Anime DVD/Blu-ray? Yes, Miss Monochrome‘s dream to become a Nendoroid has already been fulfilled in the Winter WonFes last Sunday. 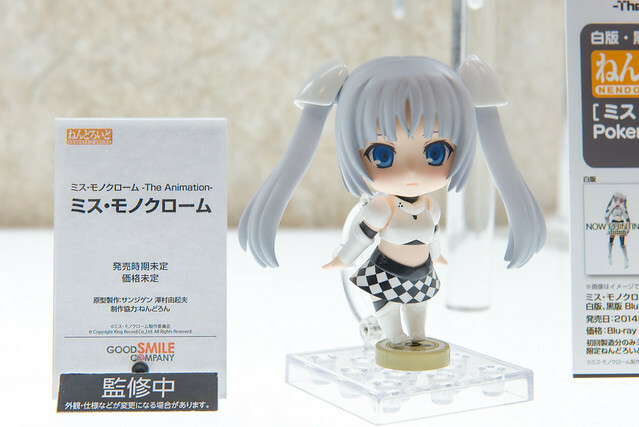 However it seems that she will have two versions: the normal white-colored version and the black one, under the name: Nendoroid Miss Monochrome: Poker Black version. Looking at the info board, I guess the Nendoroid will be bundled with either (or both) of the Blu-ray and DVD of the Miss Monochrome: The Animation. Just a refresher, the following shot is the prototype of normal, white version of Nendoroid Miss Monochrome, seen at Winter WonFes 2014. This entry was posted in News and tagged bundle, miss monochrome, nendoroid. GSC website has some kind of training since 3march~5march, since then there is no updates except hatsune miku and MEIKO re-run, and another official GSC blogger has no update at all, last week like the most boring of all my time, meh…..